Today, when we look around, everything seems to be in a race of becoming “smart”. This trend is not limited to electronic or digital devices. Your everyday stuff like clothes, shoes, accessories, household appliances, etc. are coming up with their “smart” versions. To keep up with the trend, modern home security systems also wear smartness and that is also what this article is focused at: Smart home security systems and how biometrics can help them work smarter. Image: Smart home security system enables you to take charge of your home security. Smart home security is a security arrangement, in which technology is leveraged to monitor your premises and alert you in case of unfavourable incidents like trespassing, fire, etc. Smart home security is laid by placing different sensors, detectors and setting alarms for incidents like window breaking, unusual movements, fire, etc. The set of these sensors, detectors and the hub that connects to them are collectively called smart home security system. What is smart in it? The smart part is that you get a centralized and connected access to your home security no matter where you are. You do not have to take care of each sensor or detector placed at different doors and windows. The system can smartly connect to your smartphone or a web interface and let your control different aspects or arm / disarm the system. You can monitor your home security yourself or go for the professional monitoring. Someone on your behalf can monitor security of your home and alert you, police, fire, etc. if the need arise. Smart home security can be called the subset of a more comprehensive approach called home automation or smart home, which is largely a convenience feature with the use of technology. 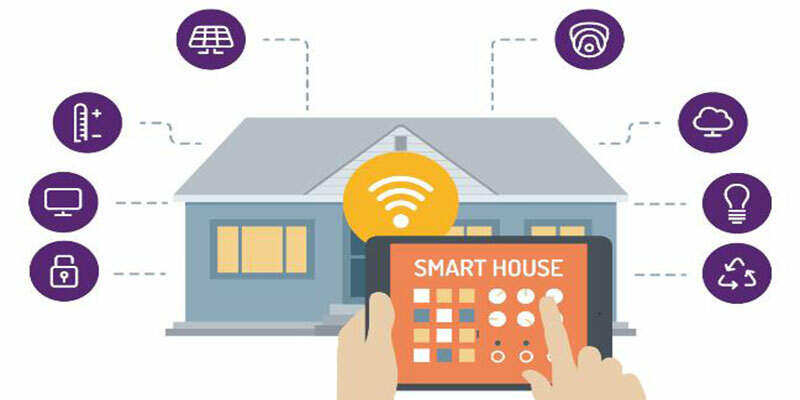 Modern smart home security systems can be scaled by adding more devices, sensors, equipment, and connect to other smart home or home automation systems within the system boundaries. Ability to connect with wires or wirelessly. Wireless home security systems are more popular due to several benefits they offer over wired systems. Motion detectors can detect unusual movements when the system is armed. Ability to connect with mobile apps, which is usually provided by the vendor. It can be used to set instant notifications, keep track and arm or disarm the smart home security system from anywhere in the world (requires cellular connectivity). Fobs enable you to unlock doors without PIN. Smart home security systems let you watch surveillance live stream if the security system is equipped with IP camera(s). Ability to alert first responders (e.g. police, fire, ambulance, local authorities, etc.) or emergency numbers as configured. You can monitor your home security system yourself of can hire a third party service provider. Secure door entry is the essential component of overall home security strategy. There are many ways to secure door entry. You can install a mechanical lock, an electronic lock or a biometric fingerprint lock, which can stay connected to your smart home security system, your mobile phone or other gadgets. Traditional methods like locks and keys are still prevalent; however, people have started considering and many have already switched to secure door entry solutions like biometric fingerprint door locks, due to risks associated with traditional locks. Significance of secure door entry in overall security is evident everywhere. In large buildings and facilities, like malls, big stores, airports, you see how entry points are secured. Securing door is the first step towards securing home. Keys or similar objects to unlock doors are possession based security methods. Your door lock will unlock itself for anyone (even a stranger) if he/she possesses the right key. We also know the struggle associated with lost keys and being stranded at the door of our own house. In a worst case scenario, someone may find your lost keys and use them to break into your house. Today, you can unlock phones and gadgets with your voice, a finger scan or a quick face-scan. 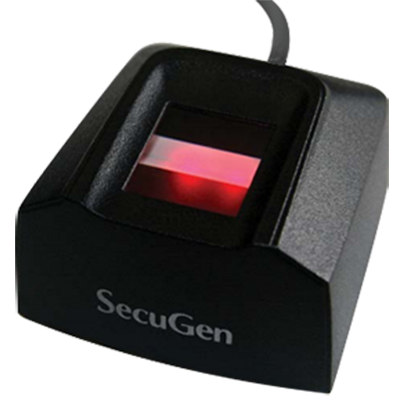 High security facilities and businesses have been using biometrics for laying security and access control for years. However, traditional methods like mechanical locks are still prevalent for secure door entry at homes. In smart home security systems, PINs or fobs are used for unlocking doors. How good would it be if door lock is able to recognize you and unlock the door without the need of a PIN or key? Home security systems with biometrically secured door entry (e.g. fingerprint locks) can help us achieve it. Fingerprint door locks use your fingerprint instead of keys, PINs or fobs, but unlike keys / fobs, you cannot lose them. Fingerprint door locks are the safest way to implement door access in a smart home security system. They also help you get rid of PINs of your smart home security system, making it even smarter. Smart home security systems enable home owners to take control of their home security and stay connected to it using the app. The level of security can also be elevated by installing a fingerprint lock. However, fingerprint lock or remote control is not the only purpose of a biometric smart home system. This system should be able to raise alarms, send notifications to the designated people when it suspects any unusual activity. Biometric smart home systems equipped with a home alarm system does exactly that. A home alarm system can be deployed as a sub system of smart home system or it can also be installed independently. Home alarm systems are typically offered in a bundle that involves a variety of sensors and detectors. You may introduce additional sensors or detectors if the system allows. Motion detectors, smoke detectors, carbon monoxide sensors, glass break detectors, vibration detectors, etc., are some of the detector types a home alarm system can make use of. These sensors and detectors stay connected with the control panel of the home alarm system. Control panel, as the name suggests, can control the sensors and detectors and different other aspects. It can also arm or disarm the home alarm system. Some home alarm systems also come with the ability to connect with compatible home automation systems (especially when offered by the same vendor). They also have inbuilt battery so that the power failures cannot fail your home security. The detectors and sensors are installed at the possible intrusion points like doors and windows, and they can raise an alarm when an intruder tries to break in. Home alarm systems are also offered as do-it-yourself kit and do not require any expert help for installing them. They can also connect with Wi-Fi or cellular network to keep your home free from wires and cables. They can stay connected to your phone using a mobile app or a web interface to control different aspects and check status. First time adopters of smart home security solutions often end up confused owning to the wide variety of systems available from different vendors. Smart home solutions are offered by completely unknown vendors to big and reputed brands. Biometrics makes an important part of the functionality of these systems, for example to run voice commands, smart home systems have to leverage voice recognition. Traditionally, voice recognition has been deployed in applications like tele-verification of customers in customer service (e.g. phone banking) and government mass surveillance applications, in which government uses voice prints of subjects to verify their identity. However, now with the rise of smartphones, smart devices, digital assistants, and smart home security systems, voice recognition has again emerged as a popular biometric modality. Other than inherent biometric ability to run voice commands, users can choose fingerprint modality to replace their keypad locks, which is a standard offering in most of today’s smart home security systems. Many fingerprint door locks (e.g. SAMSUNG SHS-H705 Fingerprint Digital Door Lock) also have a numeric keypad to setup a PIN based entry, or dual authentication (PIN + fingerprint scan) to make it even securer. 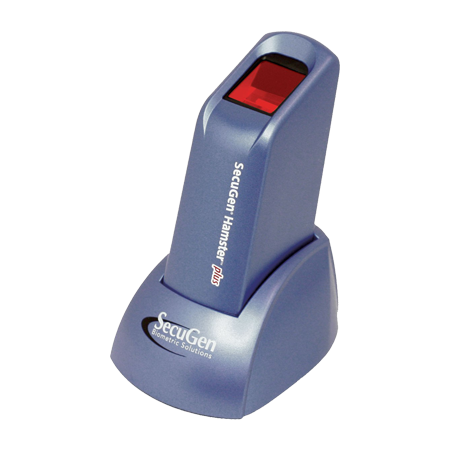 It is the most developed and deployed biometric modality in a variety of applications across different industry types. It has also been used in law enforcement and forensics for more than a century. 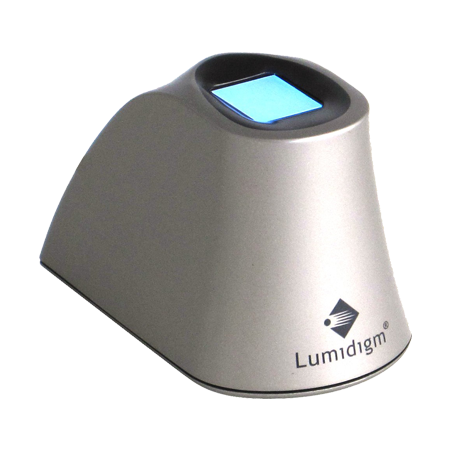 Fingerprint recognition has been deployed from low to high security applications successfully. Most of present day mobile devices include a fingerprint sensor, which can help with fingerprint authentication on the smart home security mobile application. Most modern PC and smartphone operating systems have native ability to capture, store and process fingerprint data. Recent advancements in fingerprint technology and widespread deployment has dramatically brought down the cost of Fingerprint hardware like fingerprint sensors, processors, etc. Fingerprint recognition has appropriate level of use consent, for example, you will be aware while scanning your fingerprint on the door lock, but if the same is done with face unlock, it may unlock it even when you do not intend to. Fingerprint recognition forms an important part in your smart home security strategy. Fingerprint architecture for home security systems defines how fingerprint recognition can be used to implement fingerprint authentication across the smart home security system. Here we are taking one of many proposed architectures and since wireless smart home security systems are increasingly replacing wired ones, we are taking a wireless system into consideration. Fingerprint sensors are used instead keypads and fingerprint of the enrolled users are used to unlock the doors. There is no need to remember PINs or carry fobs, which can be insecure if lost or stolen. Fingerprint sensors generate biometric template of the user and send it to the database for storage during the enrolment phase. Once enrolled, this template is matched against fresh attempts of unlocking doors. Image: Fingerprint architecture for home security system. All input and output activities are regulated by the microcontroller. It is responsible for collecting requests, processing them and communicating the result with the application server. 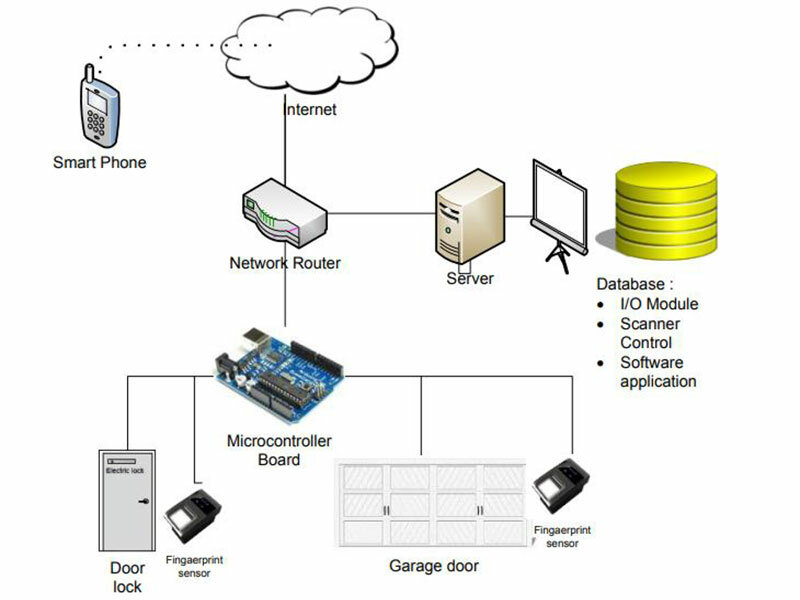 The application server runs the home security application and processes the input and output data. It works like a communication channel and makes two-way wireless data communication between microcontroller board and the server possible. The smartphone application helps in controlling and monitoring the home security system remotely. There has to be one or more administrator enrolments at the first use. Administrators will be able to enrol, edit or delete other users or home occupants. Administrator fingerprint data is stored in the database. Fingerprints of the other users can be enrolled on the system following the user enrolment process. When the door is locked, the user scans his/her finger to on the equipment installed at the door. 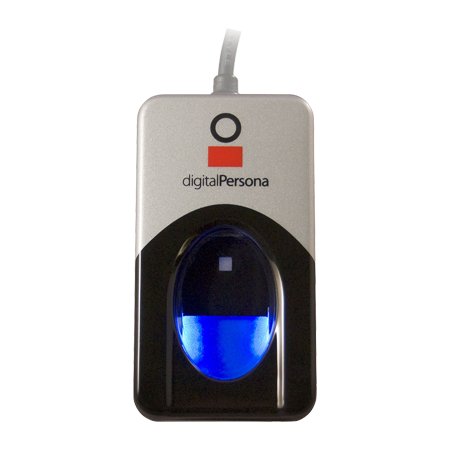 The fingerprint recognition system captures data and matches it against the records stored in the database. If the match is found, the server sends a signal to the microprocessor to unlock the door, if there is no match, i.e. the user is not authorized to unlock the door and appropriate response is passed. The system can send notifications to connected smartphone application on the same wireless network or on the cellular network if the appropriate hardware is installed for cellular access. Smart home security systems have made it possible to take control of your home security without being home. In traditional home security methods, there is no way you can remotely check the status, arm or disarm the systems, but modern home security systems with phone apps have made it possible. You can simply use your cellular network to connect to your smart home security system, no matter where in the world you are. If your smart home security system also features an IP camera, you can watch the real time video stream captured by that camera. Use of fingerprint recognition in smart home security systems further improves the level of convenience as well as security. You do not need to remember PINs or carry fobs to secure door entry; just the touch of a finger does it all. With so many advantages and benefits, no wonder if smart home security systems with fingerprint authentication become a norm in the future.